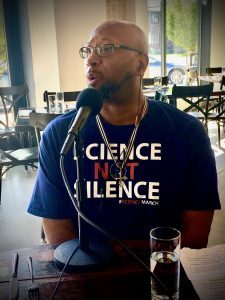 On this episode we sit down with Dr. Paul White. Dr. White is a Social Psychologist and a professor at the University of Utah. We talk with Dr. White about his life and career. We talk about politics, history, and about why it is important to look at a the world from the perspective of people who are different than you. This entry was posted in Podcast Episodes and tagged Bill Allred, Dr. Paul White, Dylan Allred, Paul White, Politics, Salt Lake City, The Let's Go Eat Show, Utah. Bookmark the permalink.